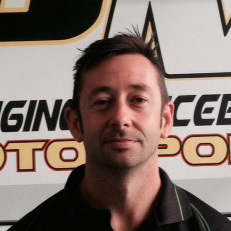 Steve Powell is a well known and highly respected Melbourne MX Suspension tuner and motorcycle technician who has over 20 years industry experience ranging from Leading Victorian Motorcycle Dealerships to Managing Australian National race teams. 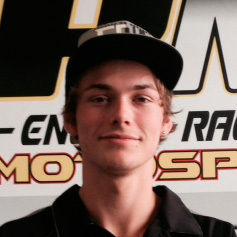 Steve begun his mechanic journey in 1994 and with hard work, dedication and the desire to succeed, in 2001 found his way onto the Factory Suzuki National Race team. 2001 was the introduction to what would become not only a stepping stone to further Steve’s career, but a learning experience to exceed any expectation and quench a thirst for valuable knowledge. Suzuki saw Steve work side by side with riders including Paul Broomfield, Jonno Porter, Daryl Hurley and Mike Metzer. Professional suspension set up can be dialed to suit each and every individual no matter what discipline. Steve can boast past SPMX riders Ben Townley, Jimmy Decotis, Gavin Faith and Cody Cooper and current riders such as Cameron Sinclair – freestyle (Nitro Circus Live), Jayden “Jayo” Archer – freestyle (Nitro Circus Live), Lewis Woods MX/SX, Josh Cachia MX/SX, Cameron Taylor – MX, South Australian & Victorian Junior Yamaha Development Team – MX, Team MAD – MX/SX, Shane Metcalfe – MX. Steve ensures that his after sales service is second to none going the extra mile to guarantee satisfaction. You will often find Steve at the track testing his settings and ensuring his customers are happy.